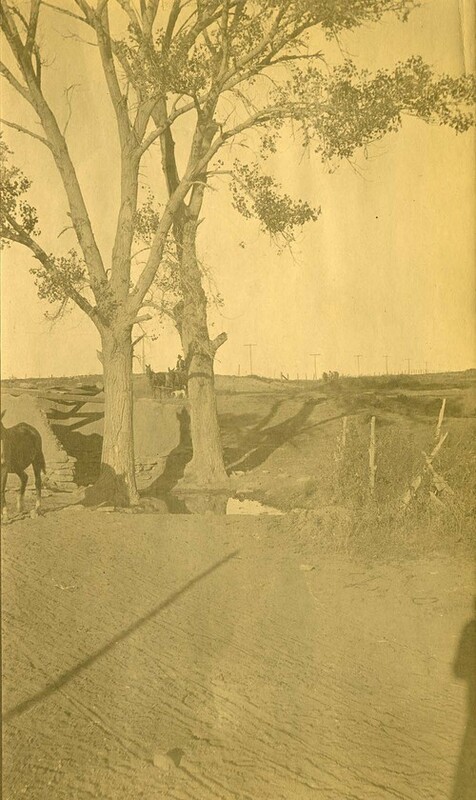 This photograph shows a view of two horse-drawn wagons with drivers near a pool of water and possibly, adobe ruins. Also visible are fences, and utility poles. This photograph is part of a series showing construction by the Atchison, Topeka & Santa Fe Railway Company through Abo Canyon. Construction began in the canyon in 1905 and was completed in 1908.